Whatever doesn't kill a Dov Charney makes him stronger. Was really hoping they wouldn&apos;t notice that. In spite of all of the potential obstacles—his reputation, his lack of money, his liability issues, etc.—the irrepressible Dov Charney managed to find some people willing to put up $320 million for American Apparel and to put him back in charge. Cue stirring comeback music—and then scratch it. Because Charney’s plan, ingenious though it may be, fails to take into account the people to whom American Apparel owes $400 million, and who would like to keep certain restraining orders in tact. Fails in that it doesn’t consider the need to pay them off to make them go away. For Charney’s proposal to work, American Apparel would have to abandon its current plan and try to force all of the company’s main creditor groups to accept the new deal. Those groups, including senior lender Monarch Alternative Capital LP, have rejected the Charney offer, American Apparel said in court papers filed Friday. That fight would take four months and require Charney and the funds backing him to pay off a $90 million loan that matures in February and provide $40 million to $50 million more for the company to use while it pushes for approval of the new proposal, according to the court documents. The man's a lot of things, but he ain't a quitter. 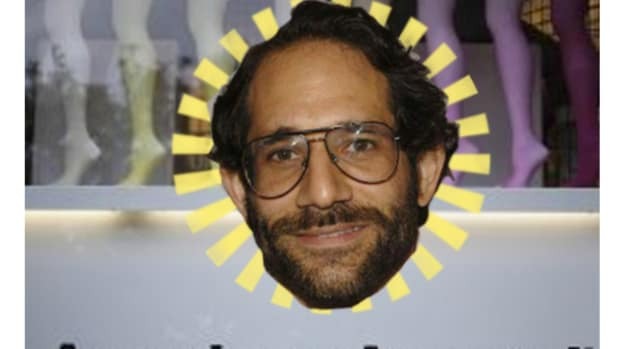 How do you get rid of a problem like Dov Charney? If he can’t have it, no one can. So sayeth Eliana Gil Rodriguez, a "former employee and friend of Charney’s." Restraining order or no, he’s found a new way to annoy American Apparel.